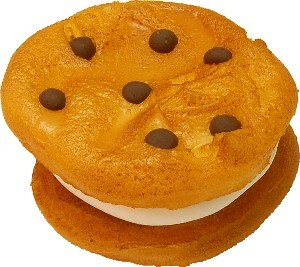 Product reviews: Chocolate Chip Marshmallow Fake Cookie U.S.A. PERFECT!!! The yellow frosting on this cupcake is the PERFECT YELLOW COLOR!!!! Not too light, not too deep.....JUST PERFECT!!! So real looking, that it looks like they just came from the bakery at the grocery store. I love this cupcake!!!!!!!!! !